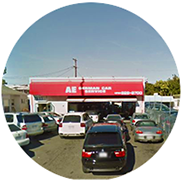 AE German Car Service is independently owned and operated, performing high quality car repairs in Santa Monica since 1973. We pride ourselves on getting the services or repairs on your vehicle right the first time by our highly qualified and experienced service technicians. Our loyal customers praise us as the best auto repair service in Santa Monica CA. Here at AE GERMAN CAR SERVICE, we offer a full-service car repair and preventive maintenance care. We specialize in working with German and other European vehicles. Review of car repair service in Santa Monica. 5 star all the way. Extremely honest and excellent professional knowledgeable staff . Best of the best. With me they have a customer for life.